Years went by and the notion of a GP caper to Mauritius stopped coming up in conversation any more. 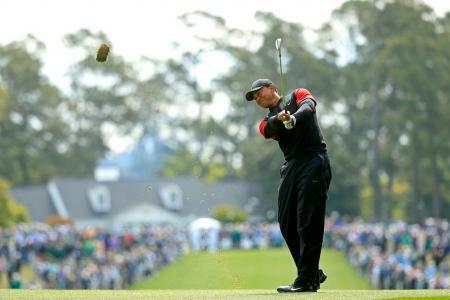 We just 'made do' with visiting the more traditional golf resort destinations such as USA and Europe. I can assure you, no one was ever complaining but there was always this little itch bothering us and it was poking us from somewhere in the Indian Ocean! 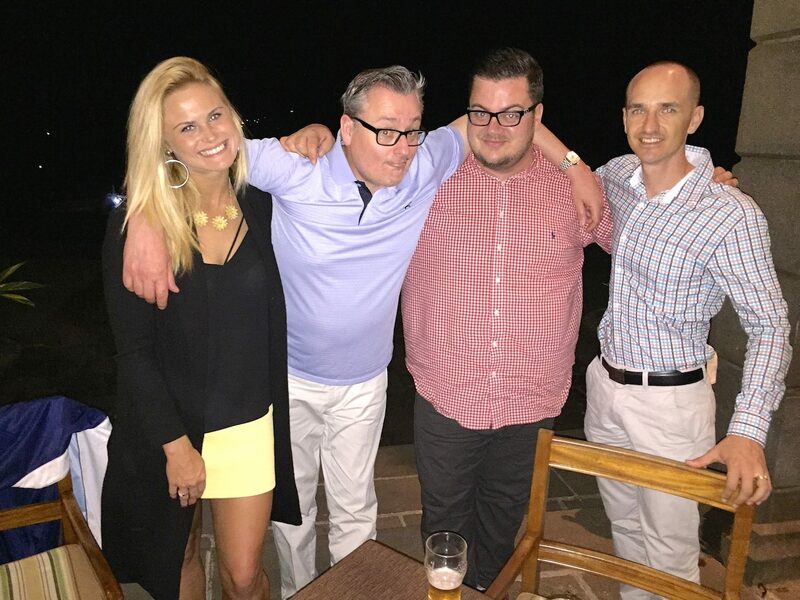 So it was with some surprise when we visited a Travel Fair in London last year that we were approached by a company who a) Loved GolfPunk and b) Were launching a golf event in Mauritius, and would it be 'doable' for us to come out there and visit the resort? You know, all expenses paid and all that. Five minutes later, after we'd been resuscitated, we were shaking hands on the trip of a lifetime. We were on our way to the Heritage Le Telfair Golf & Spa Resort. What's more, we could take our new pal and LET player Carly Booth with us! "I've never been on holiday before," said Carly excitedly when we told her. "Can't wait!" We didn't have the heart to tell her that this wasn't technically a 'holiday', we were there to work... do a report on golf on the island, talk to some local types, do some photo shoots, that kind of stuff. We met Carly in Dubai on our stop over. When I say we were pals, we hadn't even met up until that point, just exchanged twitter messages. We were slightly wary of inviting someone we'd never met to travel halfway across the world on her own to meet two berks she'd never met. Especially as Carly was a sprightly 21 year old. But then Carly is no ordinary 21 year old. If you didn't know, Carly was the youngest player ever to join the Ladies European Tour aged 17. And then the youngest winner, bagging two events in her debut season. And she's been travelling the world and meeting berks like us ever since. Absolute killer view at the 6th. As it turned out, we needn't have worried. Or been worried for her. Within 20 minutes we were all getting on like a house on fire. And not the kind of fire where anyone gets hurt, the kind where the house is empty and you can claim the insurance back... Anyway, we arrived at Heritage Le Telfair at lunchtime after our 11 hour flight. After being introduced to some local cocktails and drumming dudes, we were whisked off to our apartment. And when I say apartment, I mean luxury mansion. It was a staggering piece of architecture, a five bedroom palace with its own infinity pool and everything. Our modest accommodation for the week..
As we were soon discovering, Heritage Le Telfair had all the appearance of one of life's 'Free to those who can afford it, very expensive to those who can't' type of places (Enough with the Withnail & I references – Ed). It also became clear that Heritage is a very ambitious set up. 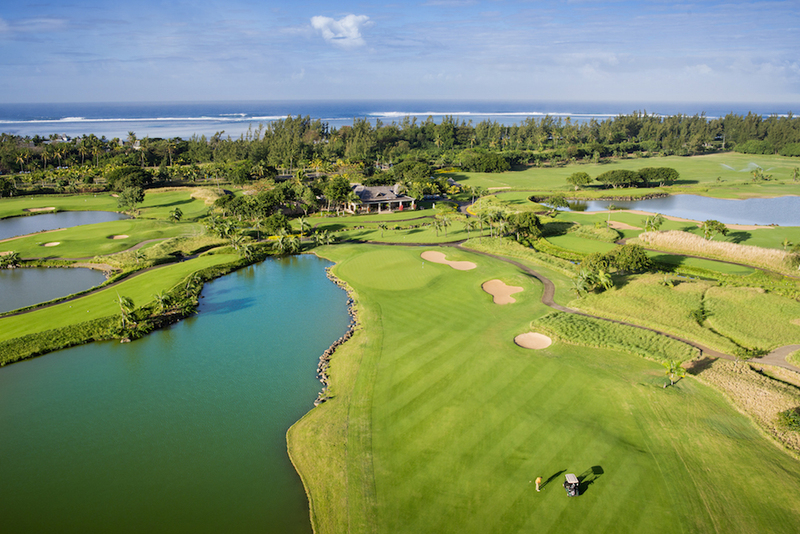 The 7,084 yard Heritage Golf Club course was just about to host the first tri-sanctioned tour event, the AfrAsia Bank Mauritius Open which combined the European, Asian and Sunshine tours. We were licking our lips at the prospect of playing the course (we'd be playing the slightly less long Championship white tees at 6,700 yards). Not Carly, though, she was on holiday from golf. You can hardly blame her, she's been on the tour treadmill for five years and she's only 21!. But for us GolfPunks we were on a mission. As we departed the clubhouse on our first visit to the course the spectator stands were up and we were feeling very slightly like tour pros who'd turned up a week early to get a good look at the course. Then we got to the first tee and any such aspirations were quickly dispelled. And we could hardly blame the course. It was in absolutely immaculate condition from tee to fairway, bunker to green to bunker and back again. A week later some actual golf pros, Thorbjorn Olesen and George Coetzee, tussled down the magnificent 18th in their play off, having both finished the 72 hole tournament (aren't they all? – Ed) at -13. 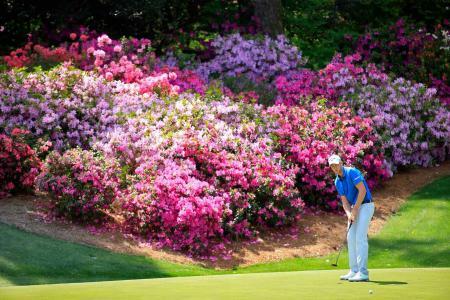 Coetzee won but both players were highly complimentary of the Heritage Golf Course. 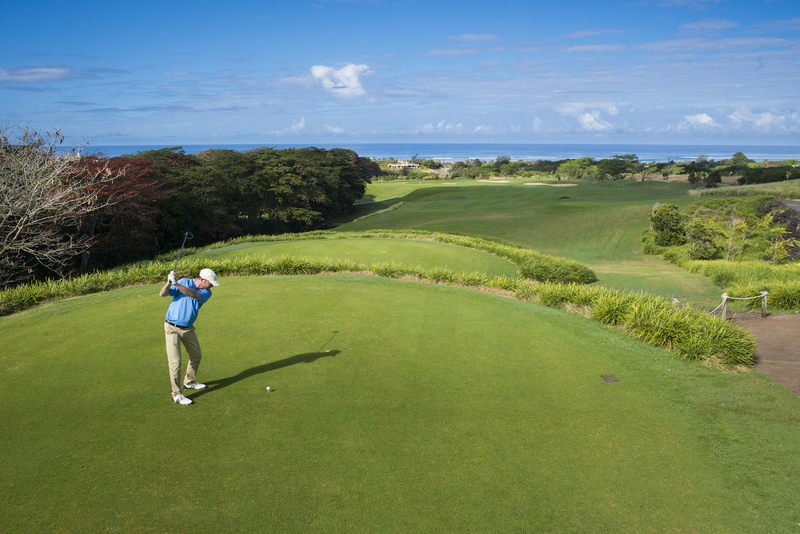 The range of hills that tower over the Heritage Golf Club course can help keep wind at bay on one side but, on the other side, the Indian Ocean has a lot to say for itself and you can find yourself clubbing up three to four clubs on occasion. And then, just like that, the wind is gone and a magnificent tranquility descends upon the place. Hell Holes become HILFs and you're back to tour pro wannabe status again. The golf set up here comprises 27 holes, the 18 hole championship course and a cracking little 9 hole Par 3 course. 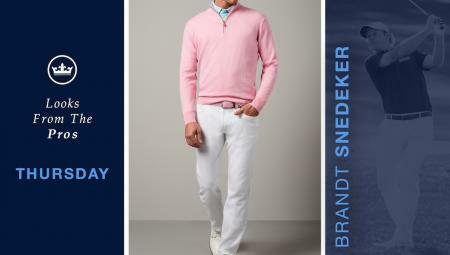 Both were designed by architect and ex-European Tour pro Peter Matkovich. 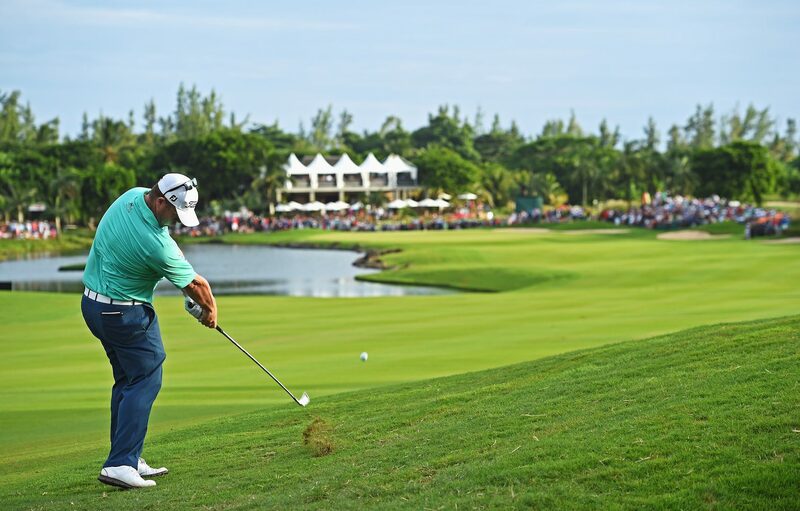 We found generous fairways and some great views of the lagoon and nature reserve. You are surrounded by stunning views and an amazing array of colourful flora and fauna. Don't be surprised if you see a wild boar, deer or monkeys either. The monkeys are extremely cheeky and not averse to pinching your golf ball on occasion. The Heritage HILF is the 9th. We played it with Head Pro Ryan Dodds. Technically, you can drive the green here. Technically, Ryan did this the first time of asking. And he holed his 25 foot putt for eagle. As I recall Dan carded a bogey five and I lost my ball and dignity from the tee, the vast lake on the left gobbling my Wilson Pro Staff with a minimum of fuss. The Heritage Golf Club has become one of my Top 10 favourite golf courses (alongside Prestwick, Troon, Spy Glass, St Andrews, The Green Monkey, Doonbeg, Ballybunnion, Burnham & Berrow and Pulborough (West Sussex), Why? It's just an ace track. Plenty of risk and reward short par fours mixed with demanding shot-making holes and some stunning HILFs. Plus, it was in awesome condition with the AfrAsia the following week. We're told by head pro Ryan, however, that the course is pretty much always like this. Ryan is a man with a face you can set your watch to so that'll do for me. As a resident of Heritage le Telfair, you are also granted privileged access to two other courses nearby, the Tamarind and Le Paradis. Both course offer something totally different to the Heritage experience. Tamarind feels like it is literally in the middle of nowhere. You are surrounded by lush vegetation and the trees are alive with beautiful monkeys. It's one of the most tranquil golf escapes we've ever experienced. Le Paradis, by contrast, runs along the sea under the watchful gaze of the spectacular Le Morne mountain. After a rousing round of golf there was only one place we were going, the villa's infinity pool: Golf-off, trunks on, fall in, submerge, surface, place arms on edge of infinity pool, sip ice cold beer and watch the foozlers coming up the 7th fairway which runs past GolfPunk Palace. 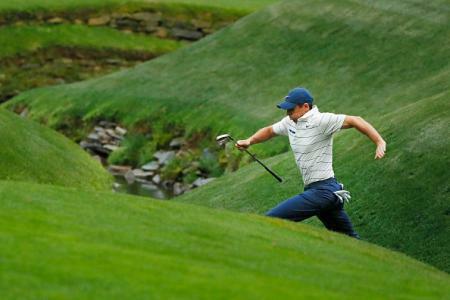 There are golf capers and then there are golf capers. 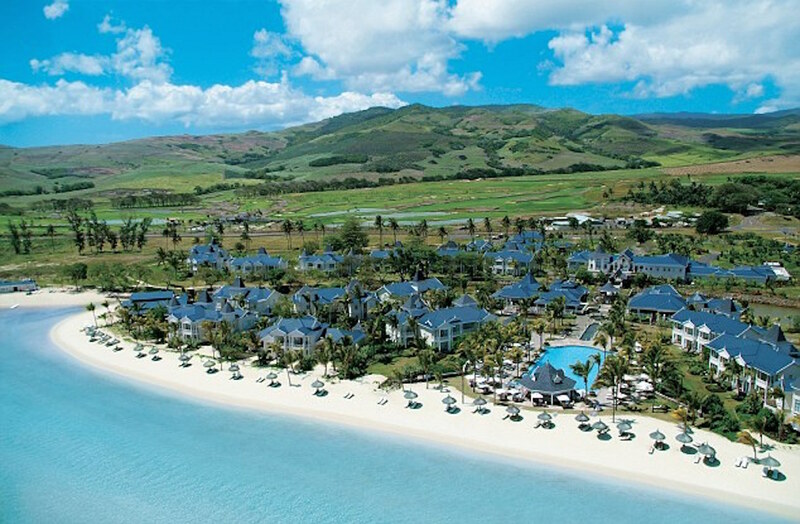 Then there is the Mauritius golf caper at Heritage The Villas. Sensational. In the afternoon we managed to get Carly up and at them, and we explored the resort for shoot locations (see gallery below). One of the best locations we found was the poolside bar which also looks out across the Indian Ocean. There was clearly a lot of good work we could do in such a location and we decided we should give the area our upmost attention. But the golf is only half the story here. 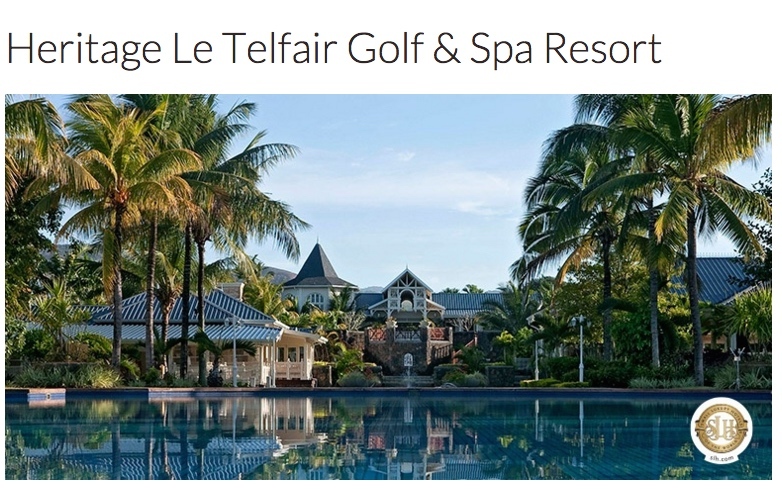 The Heritage Le Telfair Golf & Spa Resort is a luxury 5-star hotel and a member of the Small Luxury Hotels of the World. 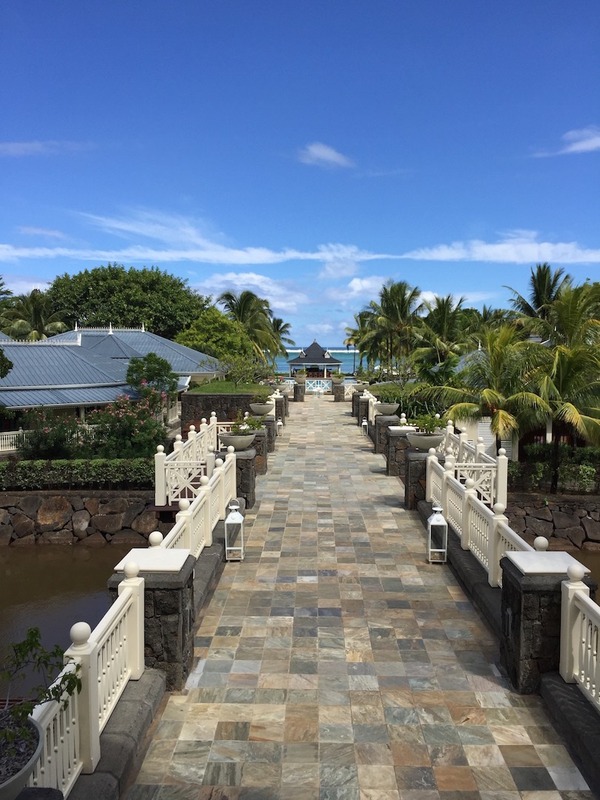 There's nothing you could ask for that isn't here: Extremely friendly people (the Mauritians are a very cool and easy bunch of dudes); fine restaurants and bars; the Seven Colours Millesime Spa; a 600 m2 pool; a heated pool; a corking array of sea and land capering. The Heritage resort is situated on the Domaine de Bel Ombre in the unspoilt South of Mauritius which offers up a pretty persuasive combination of beach, nature, relaxation and adventure. Stretching from the hills to a turquoise lagoon, the “Domaine of Experiences” will have you . If, like us, you are partial to exploring the local restaurants and bars, however, you might be a little surprised to hear that, on the whole, they don't really exist in Mauritius. Not in the rural locales anyway. You can find plenty in the bigger coastal towns but inland the locals do it a different way. Instead of creating bars etc, they cut out the middle man and just go around each others' houses. Which is really nice when you come to think about it. Domaine de Bel Ombre: Heritage Le Telfair and golf course beneath the hills. Wow. Anyway, I digress. 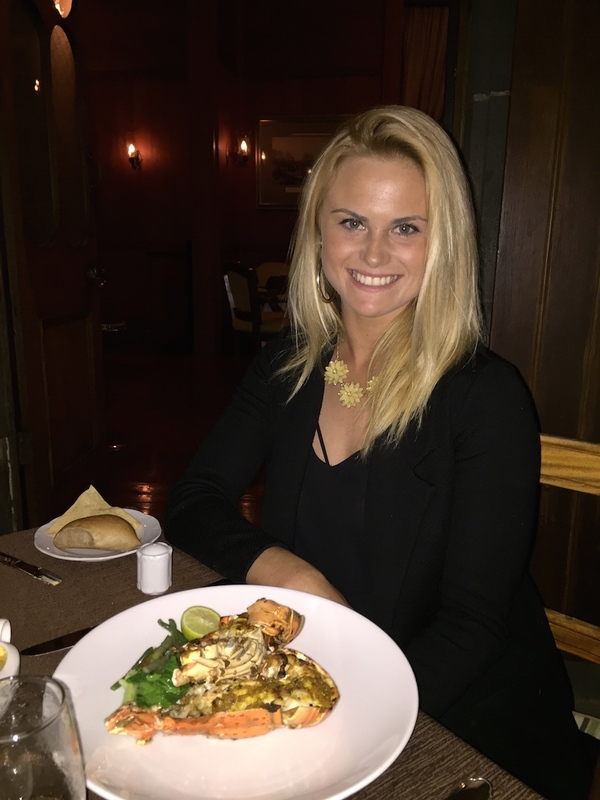 The food was what really knocked us out at Heritage Le Telfair. Several gourmet chefs await your every culinary command, cooking up Mauritian, French, Japanese, Asian, British (no we didn't go British! ), Italian, Indian (yes, we did have a curry and it was awwwwessommme), fancy steaks, traditional Mauritian cakes and teas, and enough seafood to start your own aquarium. And then there were the pizzas. Best we'd ever tasted. Apart from some Carly tomfoolery below!